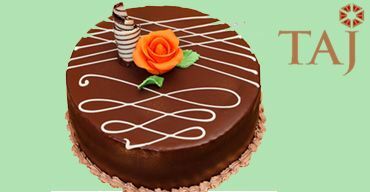 - OrderYourChoice is the largest cake shop in Ranchi to order cakes online and home deliver the cakes to your locations in Ranchi at your convenient. 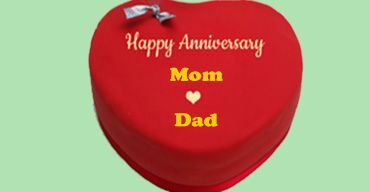 - We have wide range of varieties of Anniversary cakes, Birthday cakes, Party Cakes and Kids cakes in marvelous designs. 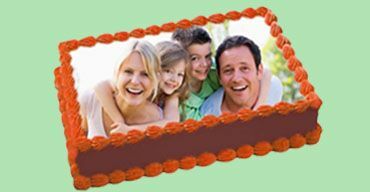 - The ordered cakes will be delivered from the finest quality bakeries in Ranchi with guaranteed customer satisfaction. Ranchi is the city of rich culture and heritage. It is now witnessing rapid development in food, entertainment and lifestyle. People of Ranchi are foodies and love to try-out different cuisines and tastes and hence conduct food fairs during major festivals of the state. Though known for their spicy traditional food, sweets too find an important place in their menu during all occasions and especially cakes tops their desire list. 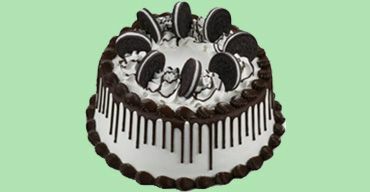 OrderYourChoice.com has emerged as the best and favorite online cake delivery service in Ranchi among the people of Ranchi as it allows to order your favorite cakes online from anywhere and home deliver the cakes on the same day so that you can enjoy and celebrate life’s wonderful moments with your family and friends. Boredom can set in any time, especially when you are shuttling to and fro to work daily, facing never-ending challenges and deadlines, getting tensed when things are not favorable and burdened by worries thinking of the uncertainty. Under such circumstances, celebrations provide an opportunity to free you from the daily chores and worries. And to make such joyful moments you need cakes suitable for every occasion. 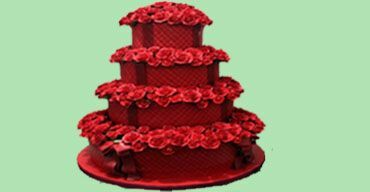 This is why OYC has a broad variety of cakes to Order Cake Online in Ranchi that includes Birthday Cakes, Wedding anniversary cakes, Party cakes and Valentine’s Day cakes. Since gifts refresh and strengthens relationships why not gift cakes for Father’s Day, Mother’s Day, Farewells, festivals and on Raksha Bandhan? In addition to being self-satisfied, the receiver would also be able to share their joy with their near and dear. Though there are cakes for almost all occasions, birthday cakes are always special as they are not just considered as yummy treats but as memorable masterpieces that would be remembered for many years to come. Owing to such a demand birthday cake for kids have emerged as creative pieces of art featuring superheroes such as Spiderman, Superman and famous cartoon characters like Mickey Mouse, Donald Duck, Tom & Jerry, Angry Bird and Chota Bheem. There are even fancy cakes in the form of Doll, Car, Teddy Bear and Piano to match the interests of kids. 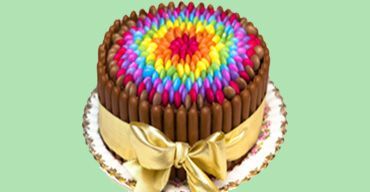 Adults too can enjoy their share of cakes as they can make their pick from the Heart shaped, Multi-tiered and Photo cakes online. When you Order cake online in Ranchi from OrderYourChoice, you can be very sure that you going to be appreciated for the choice you have made. The cakes here are freshly baked, carefully decorated and delivered along with your emotions and love intact. You might be pursuing a degree or working hard away from your family, whatever is the reason it should not stop you from connecting with them. Send a cake to your ailing grandmother or loving sister in Ranchi from any part of the world and remain in their thoughts and hearts forever. The popularity of our Cake Delivery service in Ranchi is only growing day by day because they are very convenient, time-saving and light at the pocket. With this facility in place, there is no need for excuses for not showing up or being present for any occasion. The same day cake delivery in Ranchi of OYC is for all of you who tend to forget important dates and occasions and also for people who make great plans at the last moment. While the mid-night cake delivery in Ranchi is for those who love surprises and want everything to be dramatic. OrderYourChoice, the largest online cake shop in Ranchi specializes in providing an excess number of cake varieties in popular flavors including Pineapple, Vanilla, Butterscotch, Chocolate, Strawberry, Cheese and more. For those of you who are bored of tasting Regular Cake flavors, there is a line-up of special cakes and party cakes. 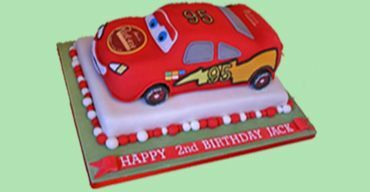 If you want you can opt for large photo cakes or special cakes suitable for big birthday parties or order half kg cakes to complement small get-togethers. As a matter of fact, taste matters the most, not the size. Why wait for an occasion to order cakes? Eat cakes whenever you feel like; no need to give any excuses. 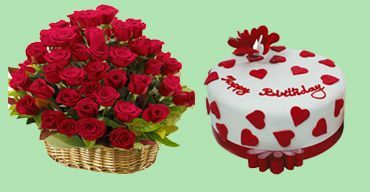 Buy piece cakes and cupcakes online from OYC and get it delivered in Ranchi for yourselves or for others. OYC's online cake delivery in Ranchi also offers eggless cakes in many flavors like Vanilla, Butterscotch, Strawberry and many, so eggs will not be a reason anymore to stop having cakes. 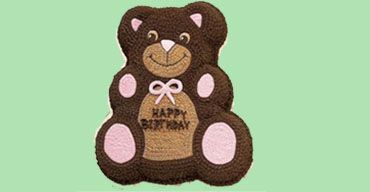 Gifting options include Cake Combos with Teddy, Flowers, Chocolates, and nuts; mix and match as you like. 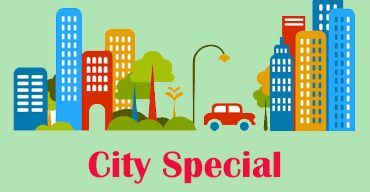 Order now and enjoy free home delivery of cakes option across Ranchi. Want to add a personal touch? Opt for the customization option that lets you create cakes as per your requirements; OrderYourChoice is always at your service. The option starts with the selection of shape, flavor, color, and size to theme or decoration. In addition to this, you can incorporate funny messages, love quotes, heart-touching verses, names, dates and even pictures into the cakes online and send that cake as a personal exclusive gift to your loved ones. OrderYourChoice is keen in satisfying the customers and make their moments memorable. With the service of OrderYourChoice, home delivery of cakes in Ranchi has become easy now! Our Cake Delivery Service is also available in Ancillary Industrial Area, Tharpakhna, Ratu Chatti, Kathitand, Piska Mod, Diwakar Nagar, Burdwan Compound, Kokar Industrial Area, Ramzan Colony, Namkum Industrial Area, Biraj Nagar, Gandhi Nagar Colony, Soren Kunj, South Office Para, Chhota Labed, Buddh Vihar, Pawan Colony, New Colony, Nalanda Colony, New Patel Colony, Nepali Colony, Dhipatoli, AG Cooperative Colony, Surya Colony, Ram Nagar, Shiv Shakti Nagar, Janaknagar, Marshal Ganj, Noor Nagar, Millat Colony, Barik Toli, Lower Hatia, Saket Nagar, Shanti Nagar, Upper Hatia, Aryan Colony, Central Ashoka Colony, Major kothi, Ganga Nagar, Friends Colony, Lalit Narayan Mishra Colony, Gayatri Nagar, Arvind Nagar, Sharda Colony, Saraswati Nagar and Futkaltoli. We deliver your favorite cakes to all above mentioned locations in Ranchi. 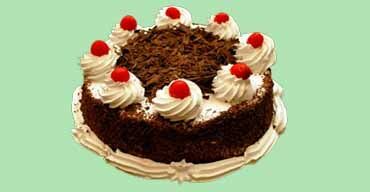 The cakes we deliver are best in quality prepared by the topmost bakeries of Ranchi. The bakeries includesRanchi Florists, Dessert Delite and CakesNBakes. In OYC the topmost priority is satisfying the customers. Quality of the cake and freshness assured delivery in Ranchi. I need a Black forest cake for upcoming Birthday party of my friend. Since most of the friends are Vegetarians I want it to be eggless, without any defect in the taste. Could you deliver eggless cake in Ranchi? We do deliver Eggless cakes in Ranchi. Especially for the Vegetarian folks we have wide assortment of Eggless cakes flavors such as Vanilla, Butterscotch, White forest, Black forest, Strawberry and more. 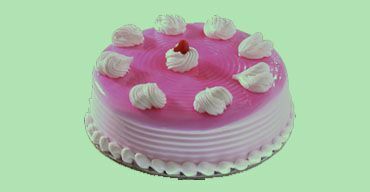 We are delivering cakes to our customers only from the top bakeries in Ranchi. As far as eggless cakes are concerned, the taste will be uncompromised. Usually Eggs are used to make the cake lighter, whereas in Eggless cakes other ingredients will be used as softening agents. The taste and quality will stay impeccable. Black forest is the perfect choice for the Birthday party. Place the order online, we’ll deliver it on time promptly! First class taste, quality and timely delivery of cakes in Ranchi. Oyc is doing gread job in Cake Delivery. Cheese cakes are my favorite. The cheese cake ordered from Oyc was totally delcious and probably the best I've had in any cake shop in Ranchi. I am an immense lover of cakes. Thank god I found this website. Now I can order cakes online in Ranchi whenever I want and get it delivered in the wanted time. The cake I ordered was damaged when it was delivered. I was asked to rise a complaint and they delivered a cake again. Thank OYC. Good customer care service.